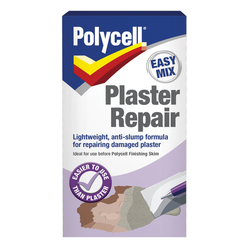 Polycell Plaster Repair Polyfilla is a specially formulated easy mix plaster repair powder which is much easier to apply and smooth out than ordinary plaster. It gives a smooth white finish to all masonry surfaces and will not slump, shrink or crack. 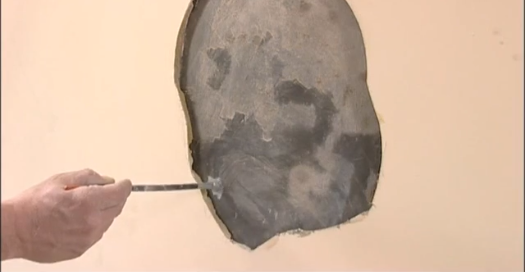 Easily repairs damaged plaster – ready to mix powder. Add approximately 2-2.5 parts Polyfilla Plaster Repair Easy Mix Powder to 1 part water and mix to a smooth consistency. Wet the repair area thoroughly to promote good adhesion. Store any unused powder in dry conditions. Wash hands after use and wash tools in warm water.